Starlite Camping Resort located in the Pennsylvania Dutch Country of Lancaster County features private, wooded campsites and campsites with a panoramic view. Our Interactive Campground Map allows guests to view campsite utilities and photos ... helping them select "the perfect campsite". 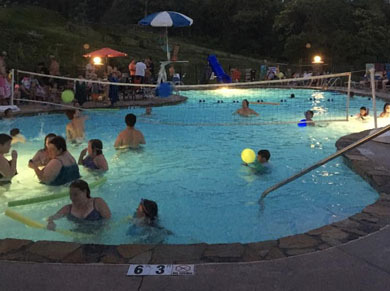 Guests enjoy relaxing by a campfire with friends, cooling off at the swimming pool or a full program of family entertainment and activities for all ages. Starlite Camping Resort offers reasonably spaced and comfortably sized campsites, all having electric and water. Several sites have sewer hook-ups. There is a large swimming pool with a kiddy pool, modern playground, tennis court, basketball, volleyball, baseball, mini-golf (coming soon), hiking trail, air conditioned arcade, air conditioned recreation hall, three bathhouses, two laundries, and a well-stocked camp store. 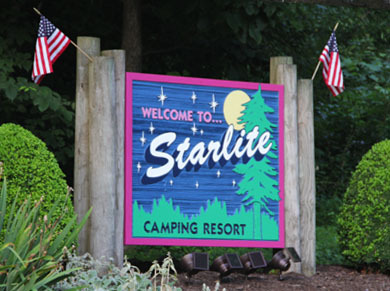 From June 30th thru Labor Day Starlite Camping Resort's daily activities include hayrides — three times a week, movies, bingo, softball, volleyball, occasional Sunday breakfast, and church service. 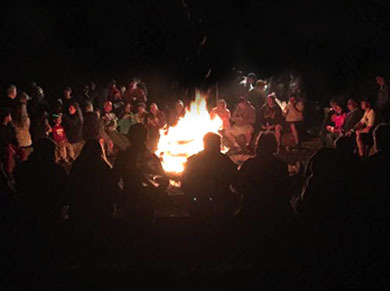 Depending on the crowd of people and the weather, spontaneous activities like late night swims, hot dog roasts, hikes, or midweek crafts, etc. may occur at any time. View the entire calendar of scheduled activities at Starlite Camping Resort for this years camping season. Overlooking beautiful Lancaster county in Southern Pennsylvania, Starlite Camping Resort is just 18 miles north of the city of Lancaster. Nearby is a wide variety of things to see and do. 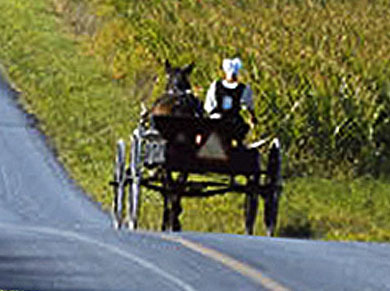 Amusement parks, historic sites, Amish community, museums, markets, outlets, theaters, trains, chocolate and pretzel factories, fall fairs, wineries, brewery, antiques, hiking, fishing and more. View the entire list of attractions ... just a short drive from Starlite Camping Resort. For over 50 years we have believed that camping is the best way to escape it all and spend real time, making great memories with your family and friends. A sign in our office perhaps says it best, "Come as strangers, leave as friends". We welcome and invite you to do just that here at the Starlite Camping Resort.